In search of these qualities for the ring? Persona, Profile, Power & Presence, are all hallmarks of the Sunwoods - Cosmo Boston Terrier tradition. Cosmo’s contributions have proven consistently embracing the ring with well-balanced, fluid moving kids who love to show. 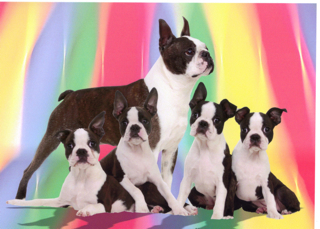 Our top quality Boston Terriers derive from the supreme Sunwood Bostons line, blended with a Cosmic accent. 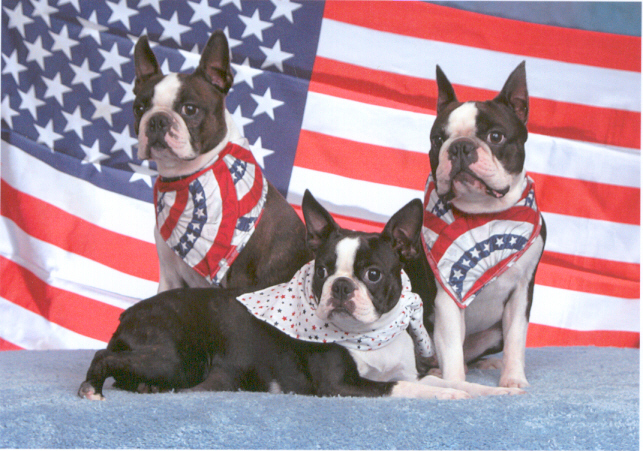 The development and breeding of these show quality Boston Terriers have been under the direction of my good friends and mentors Jill and Dr. Robert W. Ritchey, DVM, proud home of all Sunwood originals. 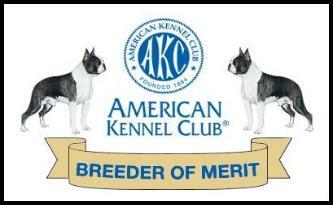 We occasionally offer AKC Champion Show Boston Terriers, Boston Terrier Show Prospect Puppies, or some of the world’s greatest, most loving and endearing companion Boston Terriers to qualified homes. 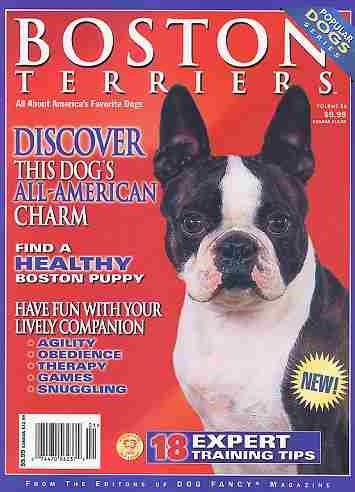 Take a peek at our adoption page, the Boston Terrier of your dreams may be awaiting your family. Our family has been living with Boston Terriers since I was 12 years old. In 1999 Cosmo, took up residence with us. 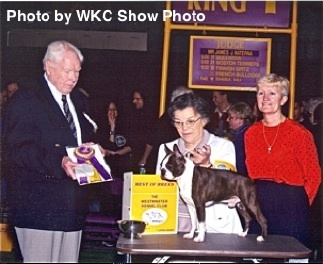 He was adopted from Flashpoint Bostons bred by Walter & Joyce Belew. Coz adapted to our family very quickly and at six months and a few days ventured into the show ring. 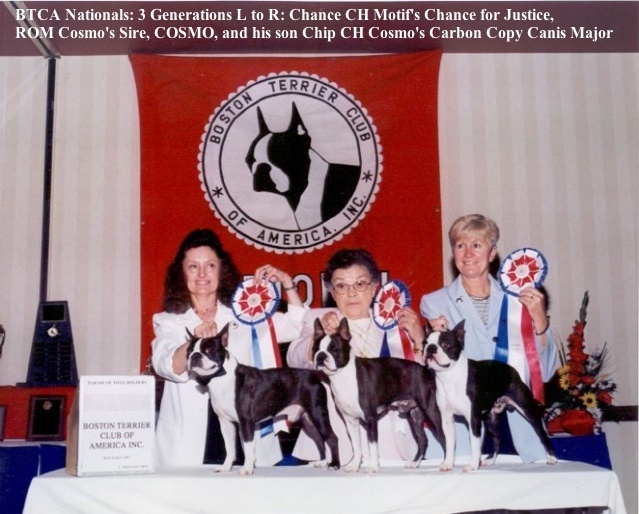 Cosmo was my first show Boston Terrier. It wasn’t long till he ascended to the championship plateau and soon garnering several specialty and group wins. In 2002, Cosmo was a top ten Boston, with limited showing, always presented by Imogene Brown. Then in 2003, Cosmo visited the “Big Apple” (New York City) setting his prancing paws on the green carpet of Madison Square Gardens, to win Best of Breed at the coveted Westminster Kennel Club Show.